Gender Alliance Bihar, a collective effort of over 270 civil society organisations has come up with a mobile app to fight child marriage in the state. Bandhan Tod app is available on the Google Play Store. 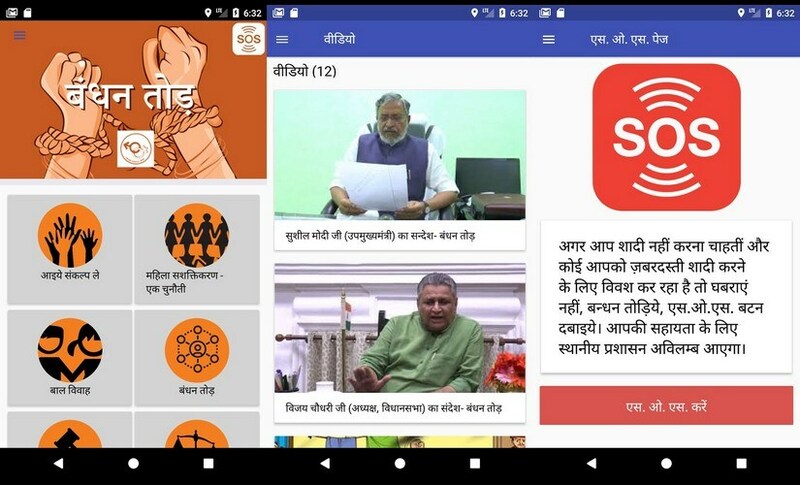 Launched by Deputy Chief Minister Sushil Kumar Modi, the "Bandhan Tod" app will try to create awareness on resisting child marriage and will also provide round-the-clock help to adolescent girls saying no to the practice in the form of an SOS button. "Use of latest technology like a mobile app is probably the first of its kind in the country to fight child marriage," Nadeem Noor, head of UNFPA in Bihar, told IANS. 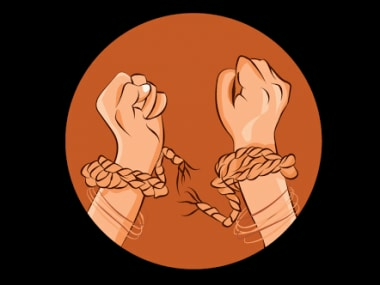 He said the app offers innovative features that will give girls the confidence to stand up against marriage before they are 18, the legal marriagable age for girls in India, adding its unveiling ahead of the formal launch of the statewide campaign against child marriage by Chief Minister Nitish Kumar on Mahatma Gandhi's birthday (2 October) was a positive development. "If the state government includes the app in its campaign, it will help us popularise it down to the village level with the wide network of thousands of women self-help groups active in rural Bihar," he said. Bandhan Tod is part of Gender Alliance's strategy to support the state government's efforts to end child marriage and dowry. "It is a rare effort of civil society, and the first of its kind in Bihar, to support the state government's commitment to end child marriage and dowry," Gender Alliance convener Swapan Mazumdar said. Mobikwik, a digital payments app will provide incentives to users of the Bandhan Tod app. "Bandhan Tod mobile app will complement the Bihar government's campaign against child marriage," said Prashanti Tiwary, Manager of Gender Alliance. Gender Alliance will soon come out with a ground reality report on the adolescent girls' social, education and health status in every block and district. "This in-depth report is likely to provide ready-made data for the government to use for different scheme implementations to achieve its goals in a time-bound manner," Mazumdar said.